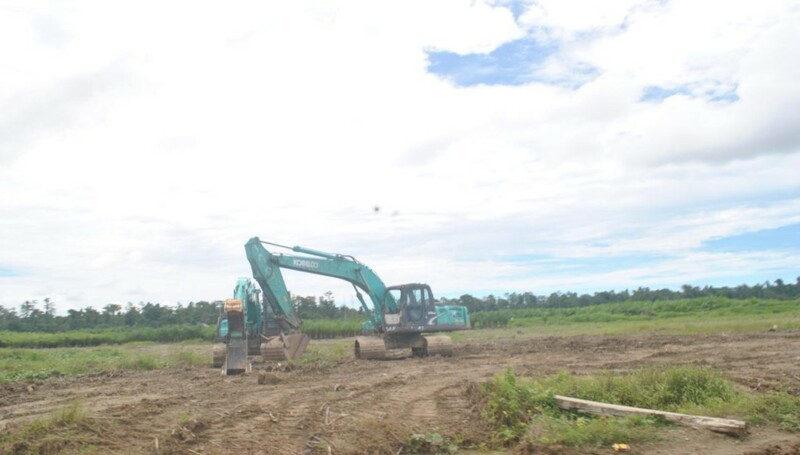 « PT Medco Papua in Merauke stops work, will resume once the Market Price Stabilises. 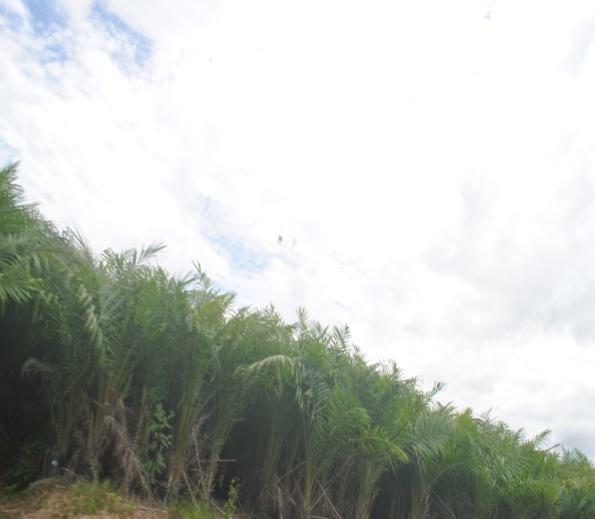 Several companies’ plans to invest in the oil palm sector in Nabire have met with local opposition. People from the Yerisiam and Wate ethnic groups have staged several peaceful actions in Nabire against one of these companies, PT Nabire Baru1. The chief of the Yerisiam ethnic group, Fr S.P. Hanebora has said that they have kept asking for support for their opposition but so far no organisation has stepped forward to support them2. “Because of this, we are asking NGOs and Churches to work together with us to oppose this company. 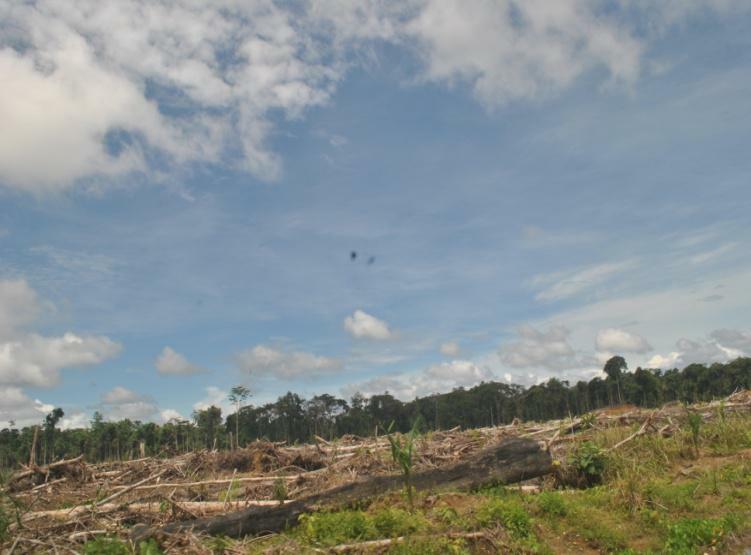 The indigenous people’s opposition has been very clear, but the company has continued to work: cutting down the forest, clearing the land, preparing 2 million oil palm saplings to be planted on an area of 32,000 hectares in Kampung Wami and 8000 hectares in Kampung Sima, in Yaur (Yaro) district, Nabire Regency. 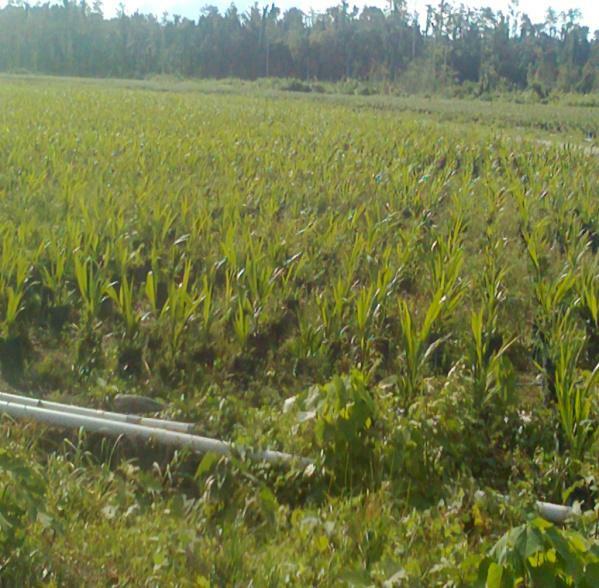 Some effects of PT Nabire Baru’s operations include converting the forest vegetation into oil palm, a deterioration in the quality of surface water, air quality and noise. Locally temperatures have increased, changing the microclimate, environmental health, an increase in population as the workforce increased, and disruption to local security. According to these informants, these negative impacts are only recently being widely realised, and they intend to reanalyse the situation by taking the data to the community to observe the actual current situation. PT. Nabire Baru’s operations are located in Wami and Yaro districts in Nabire Regency, and also in Sima district. 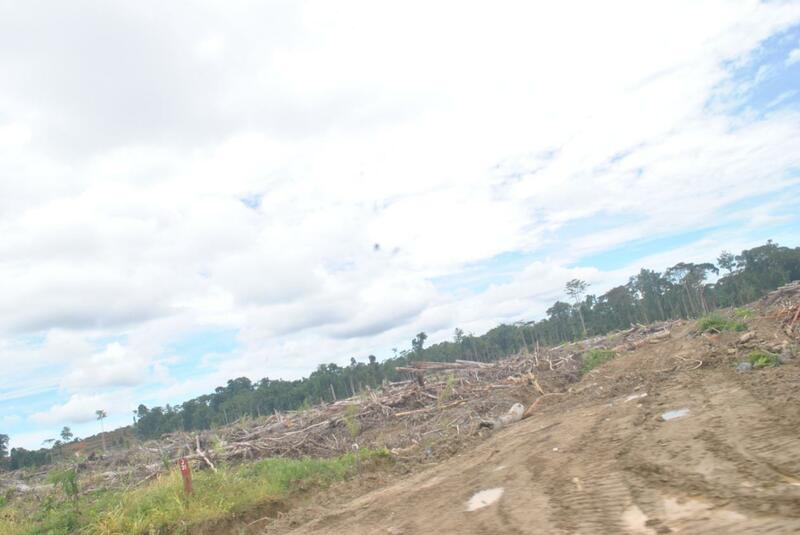 The amount of forest which will be used is 32,000 hectares, on which they intend to plant four million palm trees. 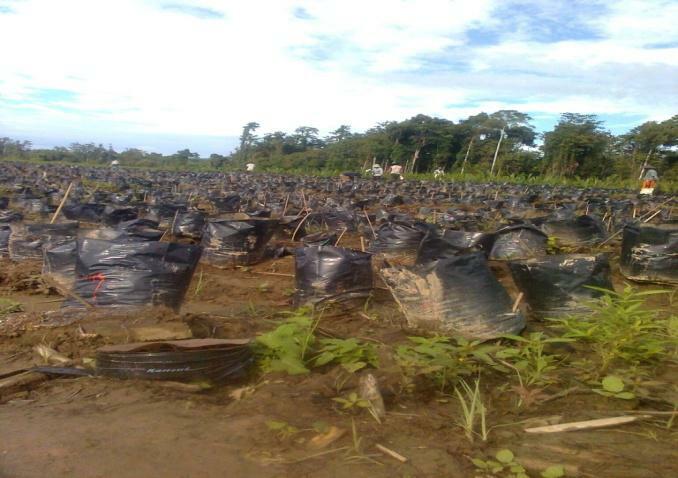 Two million saplings are already ready to be planted out and workers are placing two million more into pots. 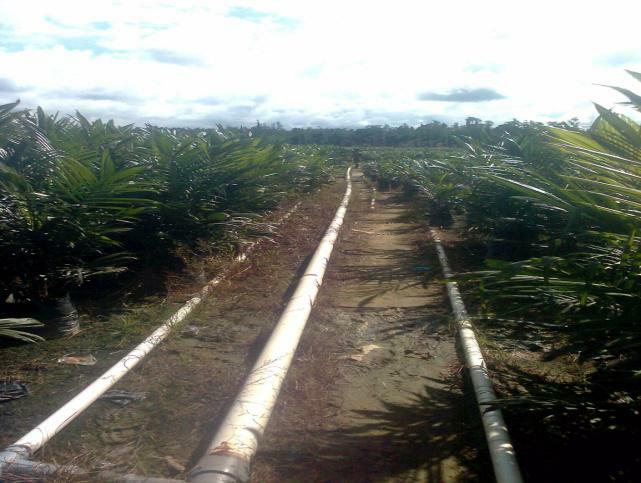 Another 8000 hectares will be planted with palm trees in Sima District. When the company arrived, it built a school building, but as of 2014 there were no teachers. Nabire Regency comprises 81 villages and 14 sub-districts. The principle commodities according to data from the Papuan branch of the National Statistics Agency in the farming and related services sector are cocoa, coffee, cloves, and cashew nuts, and there is also some corn and cassava. 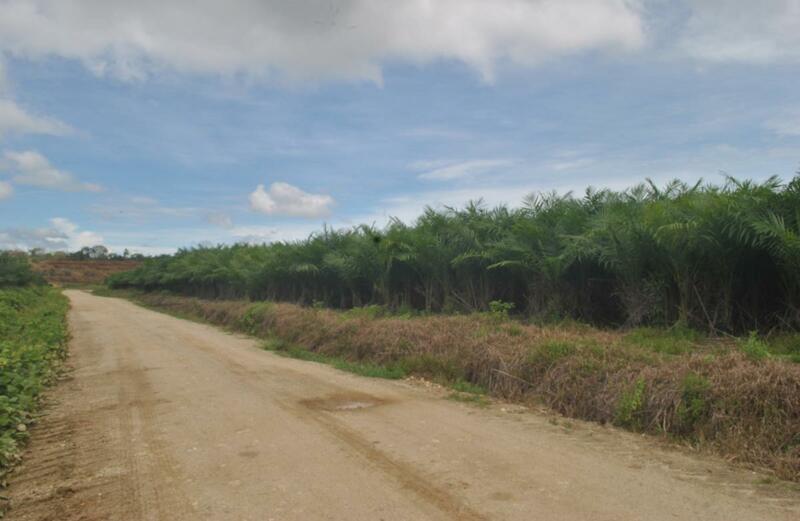 This data reveals an aspect of why local conditions in Nabire are not appropriate for oil palm plantations. Opposition also came from the Papua Provincial Administration in the form of two letters from the BAPESDALH office to PT Nabire Baru. As in the first letter, in the second letter dated October 2012, the oil palm company was requested to carry out an Environmental Impact Assessment immediately. Until this occurred, the company was forbidden from continuing work. However, direct field observations show that the company has already taken over the indigenous land, by clearing 32,000 hectares of land. 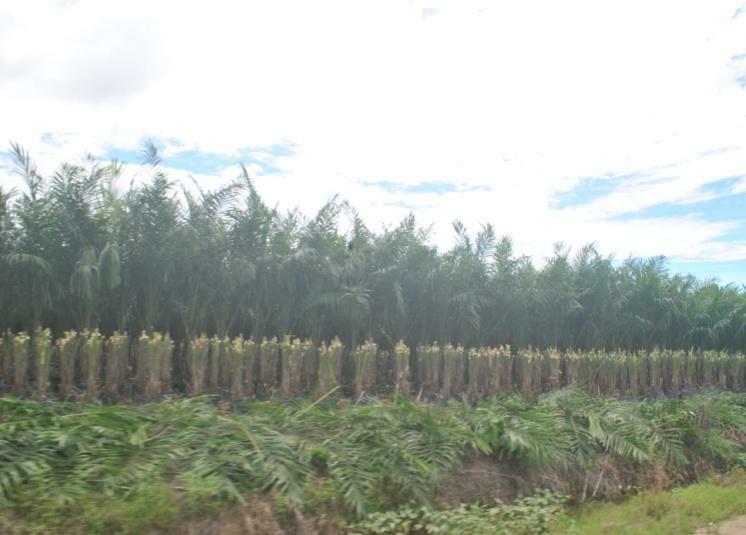 The development of oil palm from 2012 to 2014 can be seen in the photos accompanying this report. 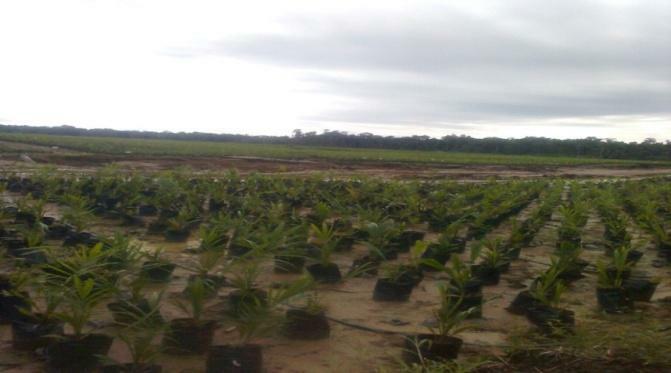 The plans of several companies to invest in the oil palm sector has been opposed by the people of Nabire. This includes PT Nabire Baru – the Yerisiam and Wate ethnic groups have staged several peaceful actions in Nabire to demonstrate their opposition. 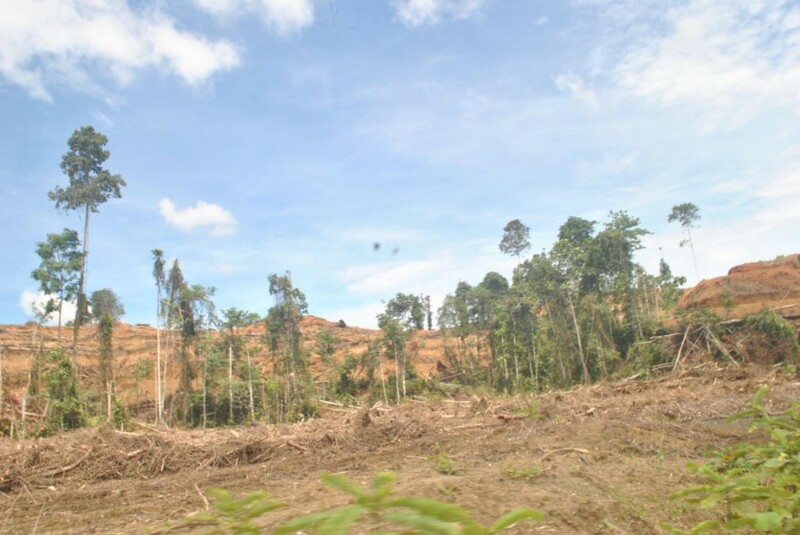 Even though the people expressed their opposition, the company continued work regardless: felling the forest, clearing the land and preparing two million oil palm saplings to be planted on 32,000 hectares around Kampung Wami, and another 8000 Hectares around Kampung Sima. I have written this investigative report based on the Yerisiam and Wate community’s complaints and oppostion to oil palm companies in District Wami and Sima, in Nabire Regency. Workers expressed a range of complaints, as did those concerned about the environment, including the Church. The reason was that there are two companies which both claim the same area. 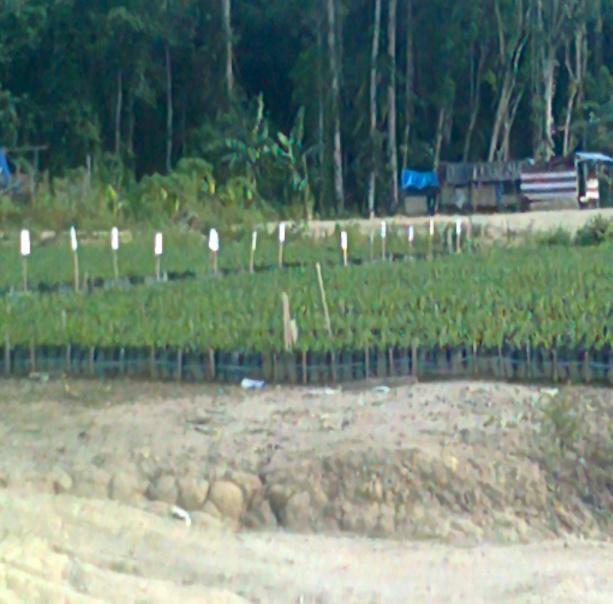 The two companies in question are PT Jati Dharma Indah (JDI) who’s forestry concession is only set to expire in 2017, and PT Nabire Baru which has already started work, resulting in 2 million oil palm seedlings ready to be planted out. The process finding a settlement for local indigenous landowners has also not been concluded. 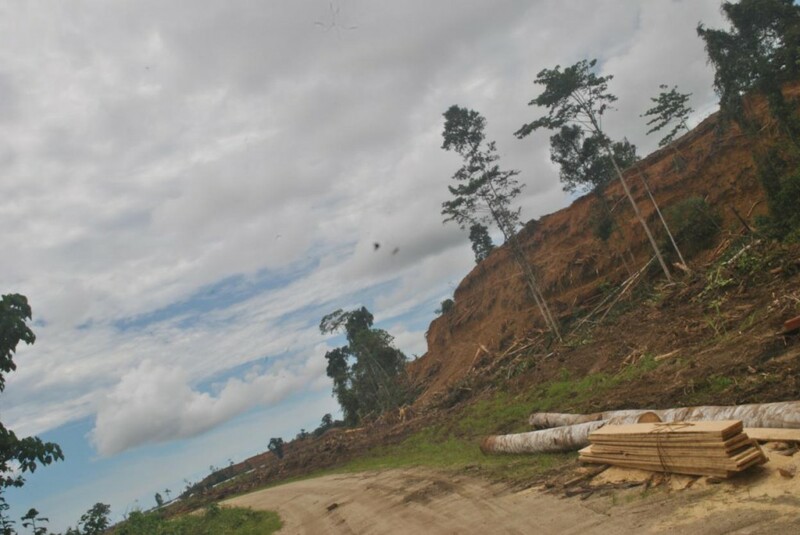 The indigenous People of Nabirestrongly oppose game that is being played between the two companies, the Nabire Regency government and the Papuan Provincial Government. For this reason, the indigenous community is worried, to the point of trauma, about the attitude and behaviour of the various vested interests which are driving this horizontal and vertical conflict. See Jubi 23 January 2013: The Papuan Provincial Natural Resource and Environmental Management Agency (BAPESDALH) will not issue a permit to PT Nabire Baru (PT NB) to continue developing an oil palm plantation in Kampung Sima and Wami, Yaur District, Nabire Regency. The result will be as many as 1500 workers left without work. This entry was posted in Around West Papua and tagged Carson Cumberbatch, Community Resistance, Goodhope Company, Illegal Forest Clearing, Nabire, PT Nabire Baru, PT Sariwada Adi Perkasa, PT Sariwana Unggal Mandiri, Siwa, Wami, Working Conditions, Yaur. Bookmark the permalink. Comments are closed, but you can leave a trackback: Trackback URL.